Fairway GPO is a Group Purchasing Organization (GPO) serving Charity and Non-Profit organizations nationwide. 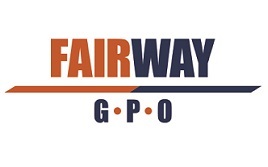 As a co-GPO with Innovatix, one of the leading GPO’s in the country, Fairway uses the total purchasing volume of all of our members to negotiate discounts with manufacturers, suppliers, and service providers that your school currently utilizes. As a Fairway member, you can save money by using the contracts or discounts available through our GPO. Our volume discounts allow you to purchase the same supplies you buy now from the same vendors you buy from now- only at a lower cost. With a broad portfolio including over 1,700 contracts from 900 suppliers and with a purchasing volume of $45 billion, you’ll be sure to cover all aspects of your organization’s needs to lower costs without sacrificing quality and devote more resources to your organization’s goals and causes!